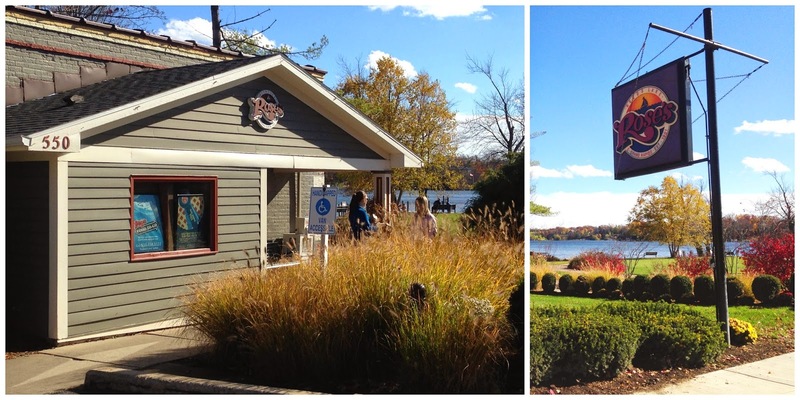 On my most recent trip to Grand Rapids, our group stopped at a beautiful spot on Reeds Lake: Rose's Restaurant. The place has a great history, dating back to 1901 when this lake in East Grand Rapids was a hub with pristine beaches and an amusement park. The lake still draws a crowd, and Rose's is definitely a little gem in this lovely spot. View of the lake from my chair! 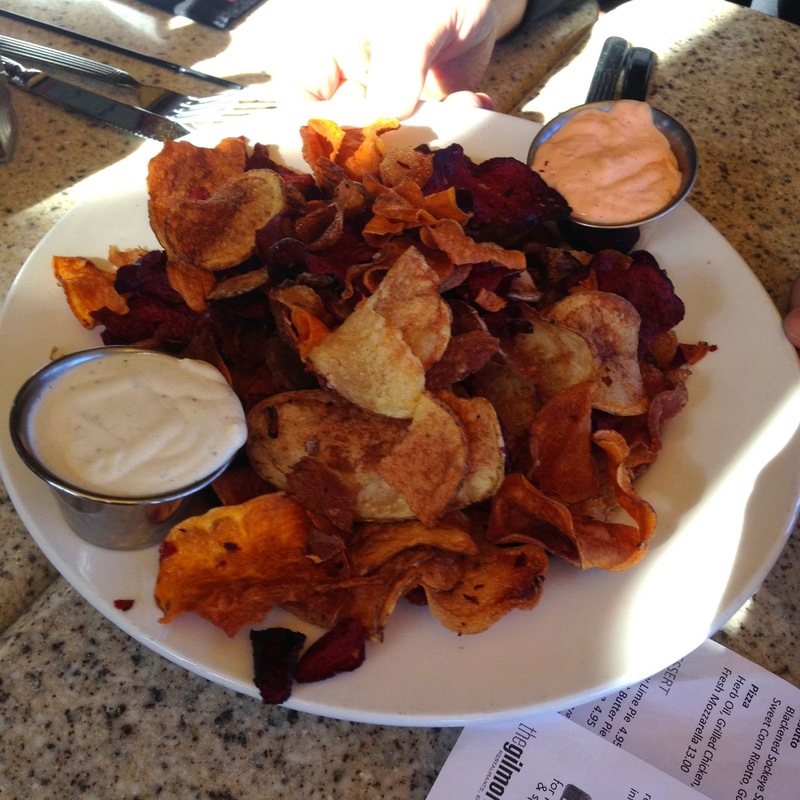 We started with a house special, the Housemade Root Chips, which were made from sweet potatoes, white potatoes, and beets. The chips came with a goat cheese fondue dip, and a red pepper aioli; the aioli was my favorite of the two. You could tell the chips were fresh, and they had a great crunch to them! Definitely not dumped out of a bag here. 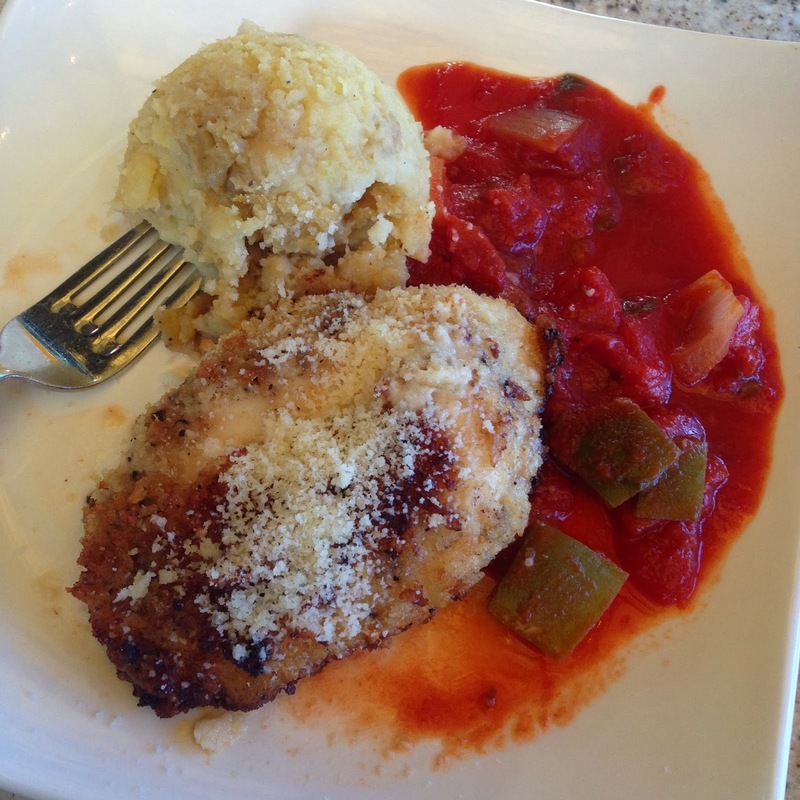 For my lunch, I had one of the restaurant's specialities, the Parmesan Crusted Chicken Breast, served with a tomato-pepper sauce and yukon gold garlic mashed potatoes. (Note: I opted out of the asparagus, but that is usually included too.) It was delicious! I actually ordered the smaller portion plate; I love that they give you the option. This is the SMALL portion! 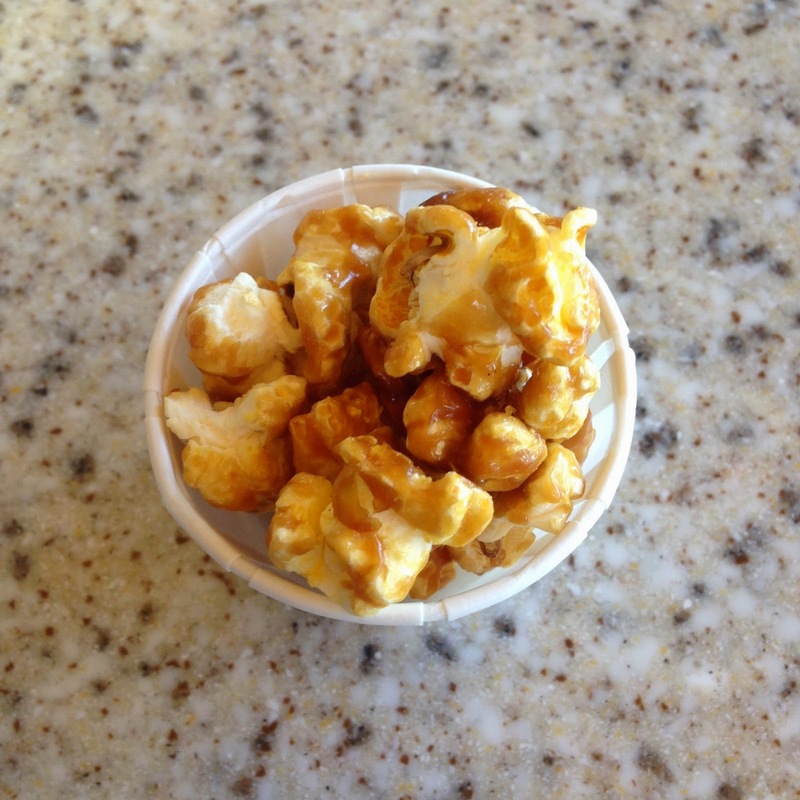 To top it all off, the bring you a little caramel corn with your check... a nod to the days when the restaurant was a place to get beachside snacks like popcorn. It was probably my favorite part of the meal, which is saying something, because the rest was good too! If I lived in Grand Rapids, I would come to Rose's on sunny day to enjoy the view and the food. It would be a nice, relaxing way to spend a meal.